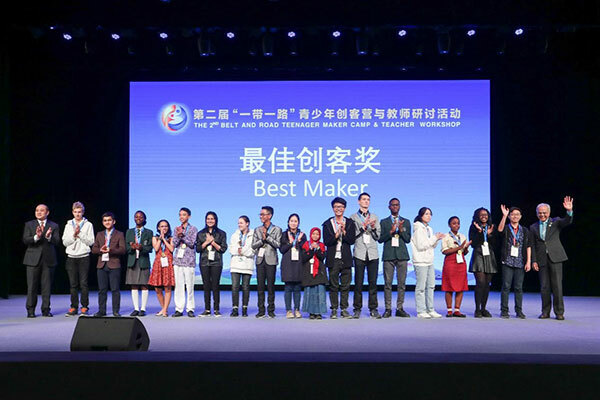 The Final Round of the 9th China Adolescents Science Video Festival which is co-hosted by the Children and Youth Science Center of China Association for Science and Technology (CYSC), the China Association of Children’s Science Instructors (CACSI) and the Hunan Association for Science and Technology (HAST) was unveiled in Changsha, the provincial capital of Hunan Province on the morning of October 28, 2018. Some 500 representatives from 31 provinces, autonomous regions, municipalities and Macao Special Administrative Region encompassing adolescent representatives, representatives of scientific and technical teachers, judges and representatives from nationwide adolescent science education institutions attended the opening ceremony. Liu Huiqiang, Deputy Director General of the CYSCC and Liu Xiaohe, Vice Chairman of the HAST together with other leaders and distinguished guests attended the opening ceremony as well. To create the festival atmosphere of youth scientific carnival, before the opening ceremony it has launched both the red carpet show and scientific performance show. With elaborate scientific video works, teachers and students overflow their hearts with enthusiasm and dreams of purchasing science, drink in these bewitching performances, step onto the red carpet filling their sails, stride toward the opening ceremony. The opening ceremony was prefaced with a song named Liuyang River which well displays glorious history and local conditions and customs in Hunan Province. In the opening ceremony, Liu Xiaohe, Vice Chairman of the HAST gave a welcome speech. Liu Huiqiang, Deputy Director of the CYSCC and Liu Xiaohe and Niu Lingjiang, former Executive Deputy Director General of the CACSI jointly kick-start the 9th China Adolescents Science Video Festival. The 9th China Adolescents Science Video Festival was launched in April, 2018, receiving 3,057 applying works from 31 provinces, autonomous regions, municipalities directly under the Central Government, Xinjiang Production and Construction Corps and Macao Special Administrative Region. Eventually, 2,356 were shortlisted for the nationwide competition. Through the expert’s preliminary review, 124 were qualifier for the final round of the 9th China Adolescents Science Video Festival. In the course of the event, the 124 works will compete for the honor of the scientific kaleidoscope awards for best work, the best individual awards, the first prizes, the second prizes, special awards and etc. The China Adolescents Science Video Festival as an exploratory science communication event, mixes informative, scientific and entertaining qualities with itself and angles towards vast teenagers. It is a vital form to encourage teenagers to roll back the frontier of the science, experience the media technology and display their practical fruits. The Festival has been held for a ninth straight time. Since 2015, the China Adolescents Science Video Festival has been listed as one of the “Dandelion Dreams” summer themed activities advocated by the Ministry of Education and has become the hallmark of China science communication event. We firmly believe that the 9th China Adolescents Science Video Festival will as usual sows seeds of science into teenagers’ hearts, nurtures them into something bigger. 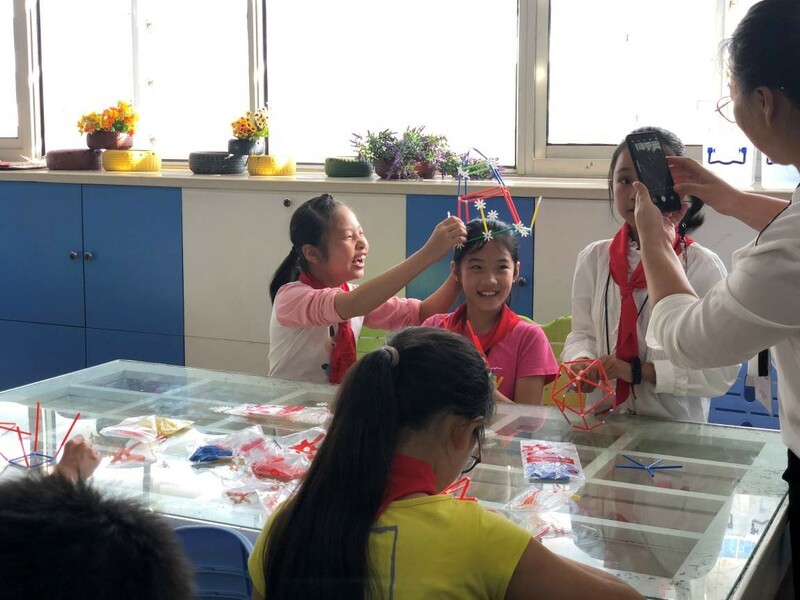 Likewise, with the stimulus of the Festival more and more Chinese teenagers can lose heart to science and scientific video and bloom into the backup driving forces and even anchors of China scientific cause to roll back the frontiers of science.